International Show Jumping comes to Le Touquet between the 3rd and 6th May. Riders compete in the amateur Derby and all the action takes place at the Centre Equestre du Touquet. The event promises to deliver an exciting few days of great show jumping. The jumping event is presented by the governing body the Fédération Equestre Internationale and runs between 9 AM through to around 5PM. However long you choose to visit there is plenty to watch and do with over 30 exhibitor’s allowing you to shop and maybe have a glass of champagne. If you haven’t managed to find accommodation in Le Touquet try are our special offers page for some discounted deals. The Equestrian Park covers (65 hectares) and is one of best complexes in France. It includes the equestrian center, the racecourse and the jumping fields. Renovated from 2009 to 2011 to be an advanced base of the London Olympics. The equestrian centre can accommodate any rider or group who wish to practice horse riding or attend equestrian events. All levels and disciplines are catered for in exceptional facilities and surroundings . The sport of show-jumping is a true test for horse and rider. The aim of the horse and rider is to make it around a course of fences without dropping any rails. 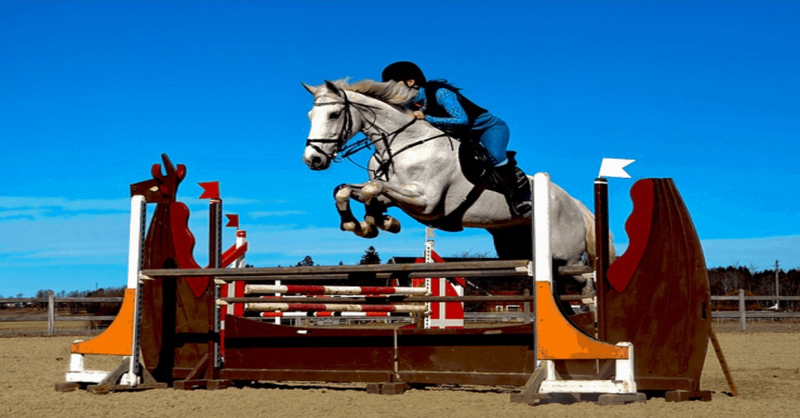 A show jumping course will typically have between 10 and 15 fences of varying levels of difficulty. Riders who clear their first round clear will be able to continue to the final “jump off.” For the jump off the course is shorter and the competition becomes more about speed and completing the course with the least number of penalties. If you are new to Show Jumping and struggling with the terminology in the bar, here are a few names you should be familiar with. Triple bars: Three verticals placed together gradually increasing in height. Liverpools: A a pool of water on the ground normally placed under a fence. Combinations: A group of fences that are placed in close sequence to one another, usually one to two strides apart. Walls: Walls are upright and solid, but are constructed so that they break if hit, preventing injury to the horse.